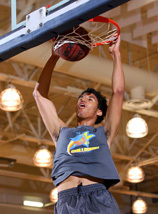 USC-bound Bennie Boatwright (Village Christian) and Columbia bound Emily Surloff (Windward) led the Southern Section boys and girls to their seventh sweep at the 17 annual Collision All Stars basketball games on April 18 at Los Angeles Southwest College. Boatwright scored 24 points to earn Most Valuable Player honors as his Southern Section team pulled away in the second half for a 117-99 win, and Surloff scored 11 points in the first half and 6 in the second half on game separating three pointers to lead the Southern Section girls to a 96-86 victory. Sufloff also was honored with the Albert ‘Cap’ Lavin Scholar Athlete Award for earning the highest grade point average among the girls. She became the first player in the history of the event to sweep both awards. Loyola’s Stone Gettings received the Albert ‘Cap’ Lavin Scholar Athlete Award for the boys. Seton Hall bound Leticia Smith (Narbonne) of the City Section led all scorers with 23 points, followed by Fairfax senior Alexis Moody 19 and USC bound Margurite Effa (Fairfax) 11 of the City team. The Southern section girls had Pittsburgh bound Tania Lamb (Long Beach Poly) 14, Northridge bound Nautica Marrow (Serra) 12 and Sierra Canyon’s Cheyanne Wallace finished with 10. UCLA bound Kennedy Burke had 8 for the Southern girls team. Boatwright made 10 of 14 shots from the floor, making 4 three-pointers, to lead a Southern Section squad that featured five players that scored in double digits. Boatwright's 3-pointer at the halftime horn gave the Southern Section a 47-45 lead at the break. The LA City Section team seemed a bit overmatched on paper, but led much of the first half before the Southern Section took over the game in the second half. Tramel Wilson (Washington Prep) gave the City one last lead at 48-47 in the opening seconds of the second half. The Southern Section, however, went right back in front and led the rest of the way. Stone Gettings (Loyola) scored off a pass from Jason Richardson (Serra) to push the lead to double digits at 67-56, and Boatwright scored on a putback moments later. The lead reached 21 points midway through the second half, and Kendall Small (Mayfair) pushed the winning side to the century mark with two free throws with 5:35 left that made it 100-78. Boatwright led the winners with his 24 points, and he also had 6 rebounds and 5 assists. 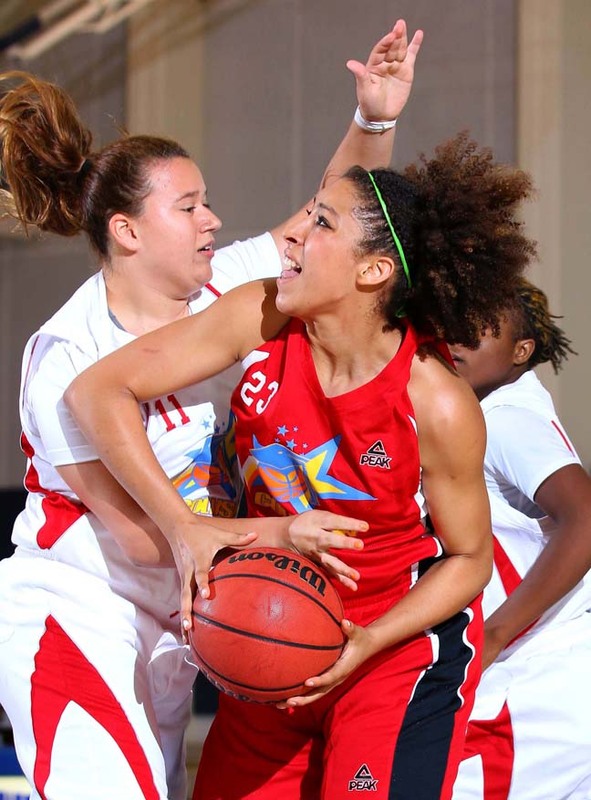 Small, who is headed to Oregon next year, had 16 points plus 6 rebounds and 4 assists. USC commit Chimezie Metu had 11 points, 8 rebounds, 4 assists and 3 blocked shots. 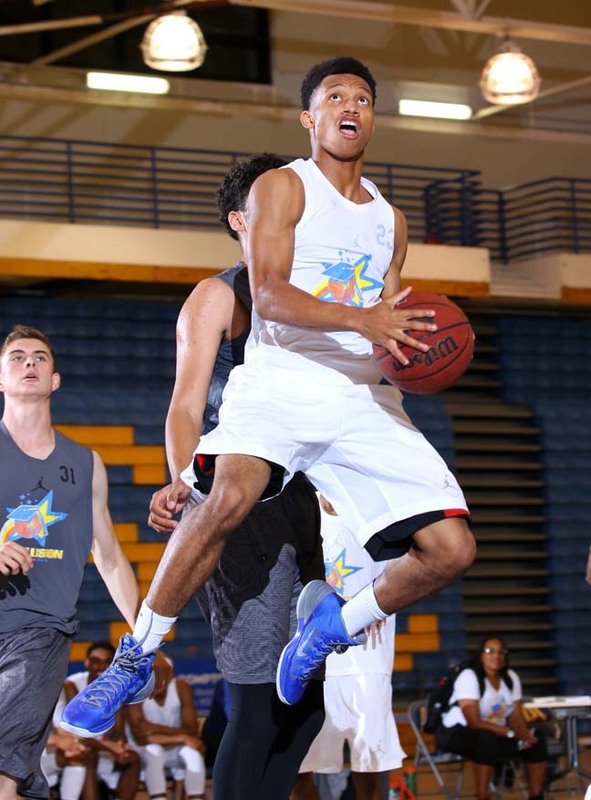 Gettings, who is committed to Cornell, had 11 points, 7 rebound and 3 assists. Christian Oshita (Bishop Montgomery) had 11 points and 5 rebounds. Max Hazard (Loyola) had 7 points and a game-high 6 assists. For the LA City Section, Lorne Currie (Fairfax) scored a game-high 28 points on 12-for-20 from the floor, and he also had team-high 8 rebounds plus 2 assists and 3 steals. But the only other player from the City Section to score in double figures was Chris Terry (El Camino Real), who came off the bench for 10 points. At halftime, Gettings was also presented with the Albert "Cap" Lavin Award as the Collision Scholar-Athlete of the year. Community Basketball pillar Issy Washington received the Jim Harrick Lifetime Achievement Award prior to the boys game. 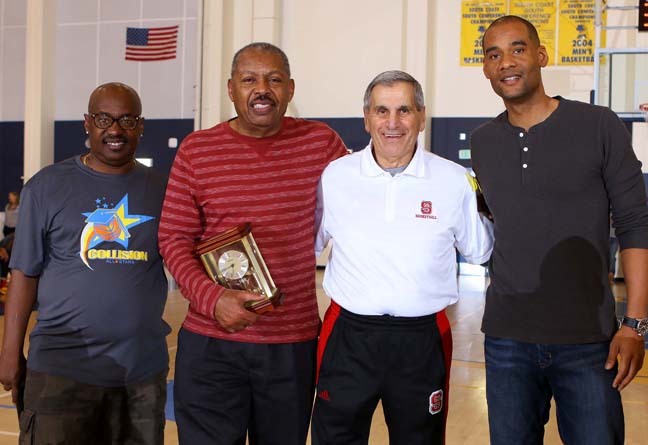 Washington, founder of Slam ‘N Jam basketball was presented the honor by Harrick and Collision founder Kenneth Miller.